Our craft project for the day is refrigerator magnets using Ceramic Industrial Magnets by X-bet Magnets. 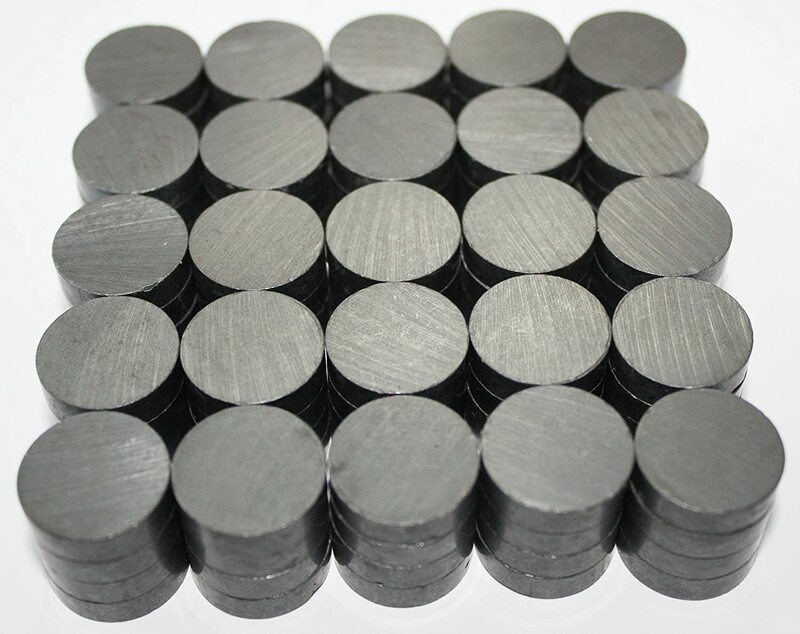 These are round disk, Ferrite Magnets that are sold in bulk for all sorts of crafts, hobbies, science projects and more. They come 100 pieces per box and are the perfect size for the refrigerator magnets we wanted to make. We have made a few different types of refrigerator magnets so far including some from felt, some using wooden shapes, some from small picture frames, some with glass gems, some with polymer clay, some using resin pieces, and some with decorated wooden clothes pins. In all cases we attached the magnet to our materials using either hot glue or an epoxy glue, then attached to the refrigerator once the adhesive had set. The sizes in the listing are very confusing. 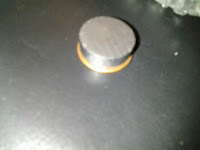 stating that these magnets are 12/17 inches in diameter by 3/15 inches thick. I have never seen measurements taken quite this way. A couple of other reviews I read stated that the magnets were approximately the size of a nickel or a quarter, but the magnets I got were not that big. Mine were just a bit smaller around than a penny, and about the thickness of 3-4 pennies. 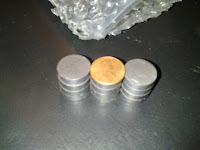 You can see in the pictures where I have put the penny side by side and on top of the magnet for comparison. We had no problems with any of these, and they all held up well. These ceramic magnets are strong, though not as strong as alnico or rare earth magnets. They have a good resistance to heat, so can easily be used with a hot glue gun as well as many other types of adhesives we use for craft projects. I have used them a few times for holding recipes and my grandchildren's artwork on my refrigerator and they hold up well, unlike some of the other refrigerator magnets we have used in the past. My grandchildren and I love them and will recommend them to anyone who needs a bunch of good quality magnets at an affordable price.